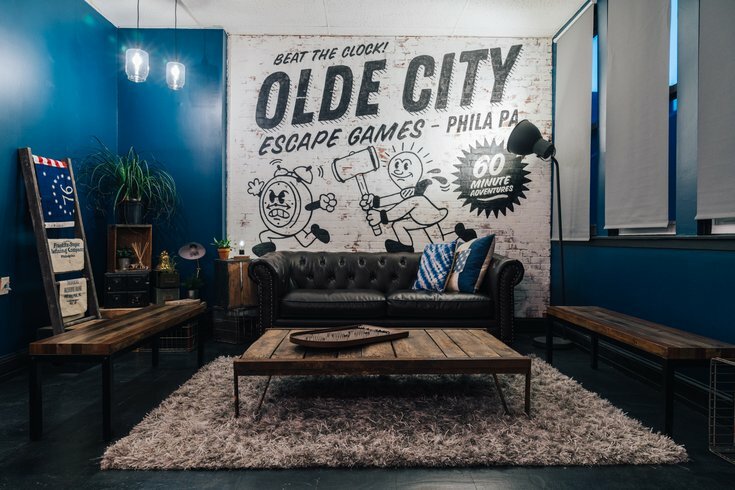 Olde City Escape Games is Philadelphia’s first escape room to feature Philadelphia history and design. Started by two artists, Brooks Bell and Vi Vu, in April of 2018, this isn’t an escape room like the others. This is an artfully designed space with intricate and original stories that you can’t find anywhere else in the city. Both Vu and Bell have worked together on several different artistic endeavors, from murals to installations. This experience and love of art translates into their new joint venture. Not only are these games inspired by Philadelphia’s rich history, but all the rooms were carefully designed. The vibe and look is something akin to the “designed rooms” you would see at exhibits such as Refinery29’s 29 Rooms. “It's a big part of designing for us to be able to have control over the design of the game’s story. Even our lobby space – we just wanted our venue to be a unique experience, to be comfortable, welcoming and completely us,” Bell said. Bell and Vu got the idea to open Olde City Escape Games while working and traveling together and going to escape rooms that were inspired by the cities they were visiting. There are two games currently in play and one coming. The themes jump through historical quests while also playing in fantasy. “Quest for Freedom” is a historical journey that is Ben Franklin-themed. “You’re helping Ben Franklin fight for American independence,” says Bell. Adding a bit more fantasy is their game “Midnighters,” which is a mashup of a few Philly stories such as Philadelphia boxing, the bicentennial moon tree and a time capsule. “We tried to switch up that story, so, in a way, you’re trying to recover the moon from the bicentennial time capsule,” says Bell. Coming up, they’re planning a new escape room called "2084." For more information and to book your adventure with Olde City Escape Games, check out their website here. They can be found at 221 Chestnut St., Suite 300 in Old City. Follow them on Instagram and Facebook.